You know, use different tones of the same color throughout your card or project. 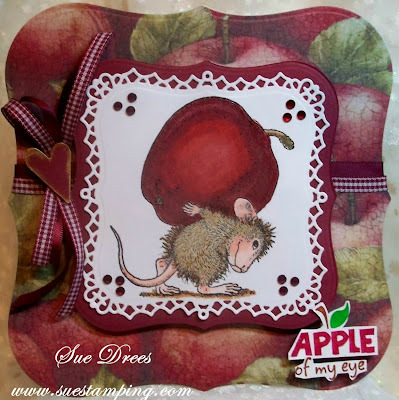 We are super excited to announce that STAMPENDOUS is the next company producing our beloved House-Mouse & Friends! Stop by their Challenge Blog to get inspired and enter your very own projects into their challenges. The link can be found HERE. The Official Blog of STAMPENDOUS Rubber Stamp Company can be found HERE. House-Mouse Designs® stamps can be purchased at the STAMPENDOUS site HERE. Our second sponsor is House Mouse Designs, a $25 Gift Certificate. our third sponsor is Joanna Sheen, a $10 Gift Voucher. The design team has come up with great inspiration for our Monochrome Challenge. 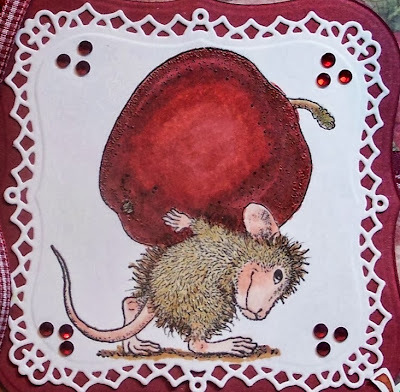 Do visit the House Mouse and Friends site and check out their super examples. We love visiting you to see what you came up with. You have until Saturday, October 5th at midnight to join us. Gorgeous card Sue, such a fabulous image, wonderful colouring and the backing paper is beautiful. Sue, your card is so cute! I am wanting and apple now! Great papers - couldn't be any more perfect and your mouse is sweet sweet sweet. Sorry I am just getting around to catch up after some crazy weeks. Miss ya! Hugz! Scrummy, Fabulous creation, adorable image and design. An adorable card Sue, I love your design and that stunning papers!!! Brilliant colouring of that sweet little image with his heavy burden!! 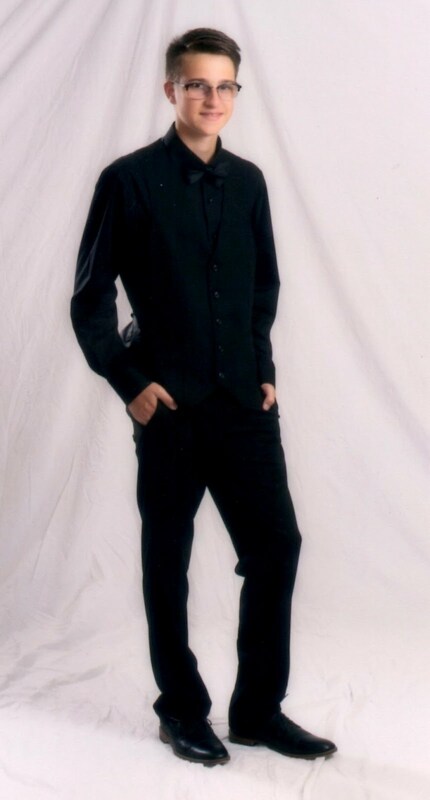 Oh will you look at this now. Your coloring is just amazing. This is so adorable. I love it Sue. Beautiful card, love the background paper and the die cut fancy frame, so beautiful. Your colouring is as always fabulous!